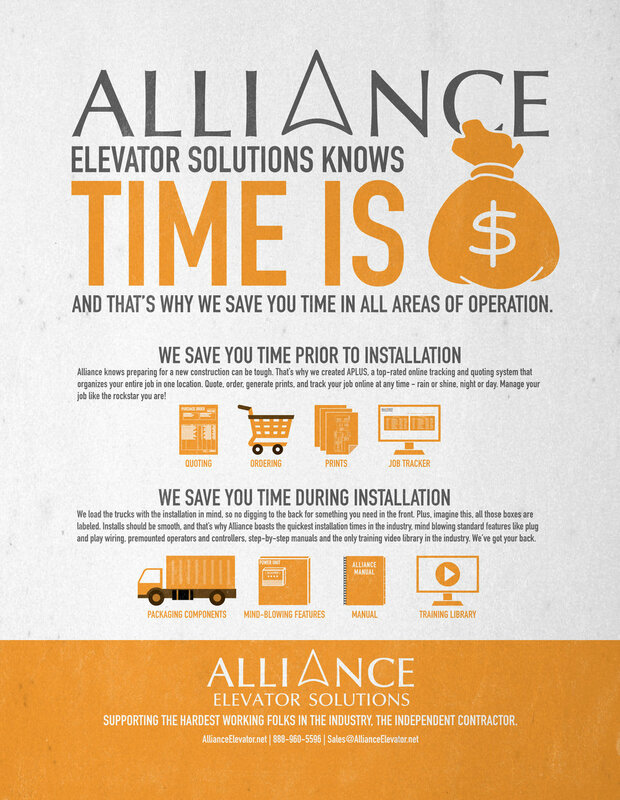 An animated video and corresponding print ads explaining Alliance Elevator Solutions. A brochure explaining the benefits of AlliancePRO™. An animated video announcing the release of Alliance Elevator Solutions’s new software - AlliancePRO™. Icons designed for website, print ads, and various other marketing materials.